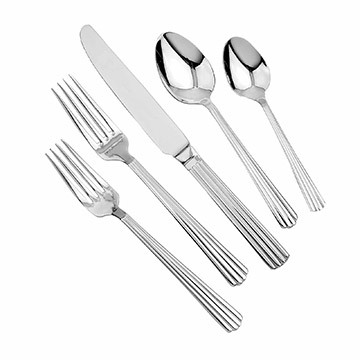 Walco's Hyannis Flatware Pattern has a unique European style which allows it to fit with any modern décor. The vertical ridges on the handle give this knife a distinctive look which sets it apart from others. In addition, the 18/10 stainless steel lets this piece stand up to constant use, making it ideal for everything from a high-end restaurant to a wedding reception.